Lance Armstrong faces serious new legal trouble: The Justice Department has joined one of his former racing teammates in suing him for using performance-enhancing drugs during the Tour de France. NBC Justice Correspondent Pete Williams reports. 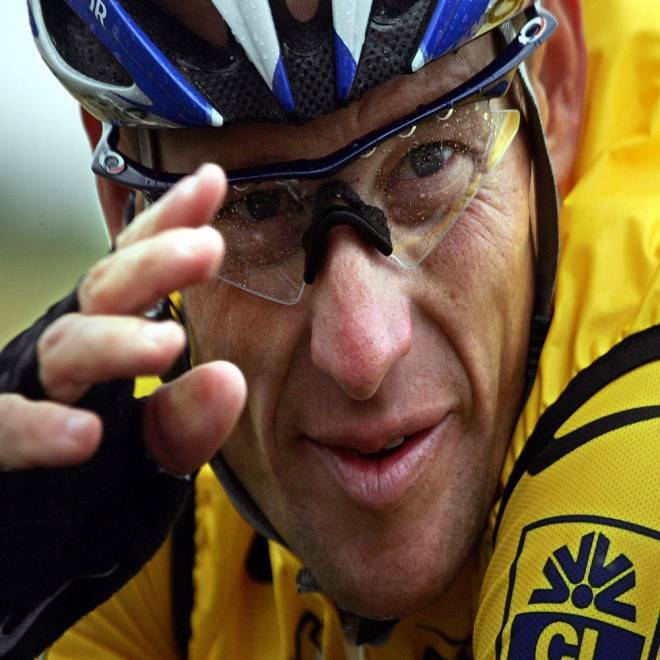 Lance Armstrong faces a powerful new adversary -- the United States government. The Justice Department notified a federal court Friday that it is joining one of his former racing teammates in suing him for using performance-enhancing drugs during the Tour de France. The government signed on to a lawsuit filed two years ago by Floyd Landis, one of Armstrong's former Tour de France teammates who has already admitted cheating. Among its claims: Landis saw Armstrong store and then re-inject his own blood to boost his performance, and Armstrong twice gave Landis banned hormones before races. The government’s legal theory in joining the lawsuit is that when Armstrong agreed to race for the U.S. Postal Service team a decade ago in the Tour de France, he defrauded the government, violating its strict ban on illegal drugs, all the while claiming he did not use them. Though the government’s action presents a serious new legal threat to Armstrong, the Justice Department case is not foolproof: Legal experts say Armstrong could argue that his contract with the team owners never explicitly prohibited blood doping, and he could claim that he never signed any agreement directly with the Postal Service that banned the practice. But if the government wins, Armstrong could face huge fines, because the Postal Service paid at least $30 million to sponsor his racing teams. Armstrong's attorney, Robert Luskin, said in a statement Friday that the Postal Service had no losses deserving of compensation. "Lance and his representatives worked constructively over these last weeks with federal lawyers to resolve this case fairly, but those talks failed because we disagree about whether the Postal Service was damaged," Luskin said. "The Postal's Services own studies show that the Service benefited tremendously from its sponsorship -- benefits totaling more than $100 million." After denying for years that he cheated, Armstrong gave a general admission last month in an interview with Oprah Winfrey. "This issue of performance enhancers, to me, we're going to pump up our tires, put water in our bottles and, oh yeah, that, too, is going to happen. That was it," he said. The cycling website Velo News reported this week that Travis Tygart, the CEO of the US Anti-Doping Agency, wrote to Attorney General Eric Holder last month, urging the government to join the Landis lawsuit. A decision by the Justice Department to join the case “in order to get to the bottom (or top) of this massive fraud would also be viewed by the press and public as necessary and legitimate,” the letter said.